How It All Started: When I was asked to teach a guest writing class to adults at the Civic Center in Pleasant Hills, my immediate answer was, “Yes. I’d love to.” Although I had spent the last 43 years teaching elementary school age children, I love the classroom almost as much as I love my family, so I leaped at the chance to return to teaching. I visited the class two weeks in advance to meet the students who ranged in age from 30–70 +. Their energy and eagerness was adrenaline for me. Materials: Having taught elementary school students, who often do really well with graphic organizers, I used a program called “Inspiration” to create a Character Map. I also brought in three character descriptions, each only a paragraph long, as an example of how a writer can begin to create a fully developed character in a single paragraph The three characters were Mr. Bounderby from Hard Times by Charles Dickens, Elrond from Lord of the Rings by J.R.R. Tolkien, and Henry Chenaski from Women by Charles Bukowski. Since you can’t write a character that you don’t know, we talked about where you find fodder for character development. Some of the sources that the students came up with were: themselves, family and friends, people they observe, and characters made up of mixed characteristics of people they know. I had the class brainstorm a list of people who they thought they knew well enough to turn into 3-dimensional characters and who they felt were interesting enough to be unforgettable for a reader. This was followed by mapping the character according to the chart descriptors. The second hour began with a discussion of two books that I had brought as examples of novels in which the authors had created a perfect inciting event for what they wanted to do with their protagonists. 1. A Gentleman in Moscow by Amor Towles takes place in 1922 and is about a young Russian aristocrat who is deemed unrepentant by the socialist party and is sentenced to spend the rest of his life in a grand hotel in an attic room. The protagonist, Count Alexander Rostov, is a man of gentle sensibilities. He possesses great strength of character, is literate, and draws sustenance from art and culture and the company of other such souls. Imprisoning him in a hotel is seen by the new government as the perfect punishment. However, through Towles’ brilliantly developed plot, the inciting event leads to a revelation that has to be read to be fully appreciated. 2. The Wizard of Oz by L. Frank Baum was published in 1899, shortly after Baum visited the Chicago Exposition. Baum would write prolifically during his life, but The Wizard of Oz is his standout classic and for good reason. Not only was the book the first American fairy tale, but its heroine, Dorothy Gale, embodied the spirit of legendary and mythopoeic America perfectly. It is not coincidental that her last name is also the inciting event in the book – the cyclone. The cyclone carries Dorothy from gray Kansas to the colorful land of the Munchkins. Like Joseph Campbell’s hero with a thousand faces, Dorothy will redeem Oz and then return to her own world where her aunt will be planting flowers; a symbol of Kansas’ redemption. After discussing how the inciting event in both books was perfectly matched to the main character and the quest they would be set upon, the students were asked to write an inciting event for the character they had created in the first hour. We had just enough time to share everyone’s writing. I was left eager to do more, and I hope that my students felt the same. There will also be a reading from our new collection of stories at the Walnut Creek Library. We’ll announce the date soon, and we hope you’ll join us and enjoy our stories. The library is located at 1644 N. Broadway in Walnut Creek. You can visit the library’s homepage here, see an interior picture of the library here, and find more pictures here. It’s a beautiful building with easy parking, and it’s located alongside Civic Park, which is a nice place for a stroll. A reading of stories from The View From Here will take place at the Dublin Barnes & Noble. Monday, June 13, 2015 the Walnut Creek Writers Guild participated in a nation-wide event celebrating To Kill a Mockingbird, in which Barnes & Noble stores across the country hosted day-long readings of the entire book. Performers: Norma Armon, Deanne Dale, Alida Field, Joseph Herbst, Webb Johnson, Michelle Netzloff-Luna, Kathy Oldham, Sandy Shaller, and Carol Stefan. Sunday, February 9, 2014 the Walnut Creek Barnes & Noble hosted The Walnut Creek Writers Guild for a reading of excerpts from their anthology The View From Here. Authors: Norma Armon, M.J. Riley, Deanne Dale, Michelle Netzloff-Luna, Kathy Oldham, Sandy Shaller and Webb Johnson. 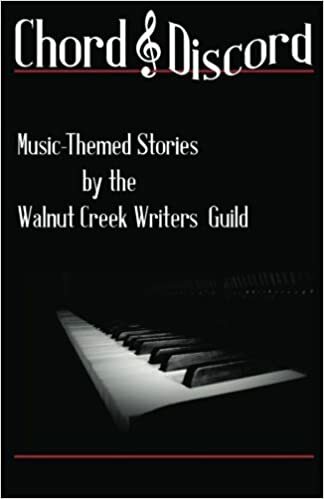 Thursday, October 25, 2012 The Walnut Creek Public Library hosted an Evening with the Walnut Creek Writers Guild.